Chesterfield / Unstone transmitter at dusk. Chesterfield TV transmitter “Up Close”. Note from the graph that the three PSB MUXES can still be received on an original A group aerial. Also see other relevant K group curves. 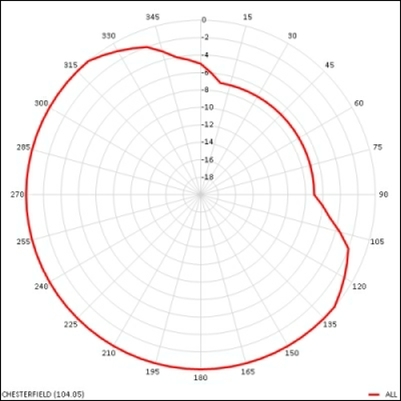 For Chesterfield we recommend the DM log for strong signal areas, the Log36 or medium signal areas and the Yagi18K or XB10K for poor signal areas, the latter aerial being particularly well suited to loft mounting. The XB16K is for those with the most marginal signals. The dimensions and test performance of the aerials can be found on the relevant tables. 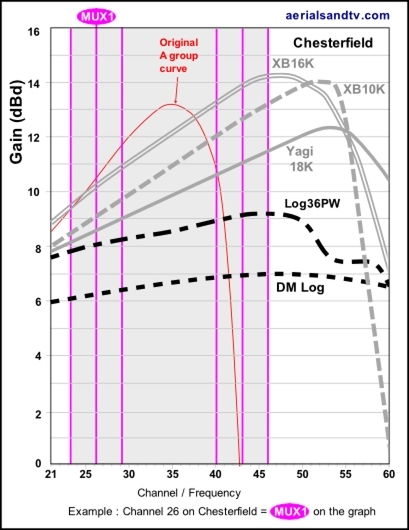 It should be remembered that because of Wideband antennas poor response at the bottom of the band nobody should ever fit a “high gain” wideband on any K group transmitter, e.g. Chesterfield. If the site is in a poor spot a “high gain” K group aerial should be used. On the other hand if the signal is strong (or medium) then by definition it doesn`t need a “high gain” antenna anyway ! Under these circumstances a Log Periodic should be fitted instead. Note, due to the new phenomenon of MUXICAL chairs you may experience problems with certain MUXES disappearing. First try rescanning your TV / set top box, do it manually if possible. If this fails to sort it check on transmitter work or call the reception advice phone numbers. 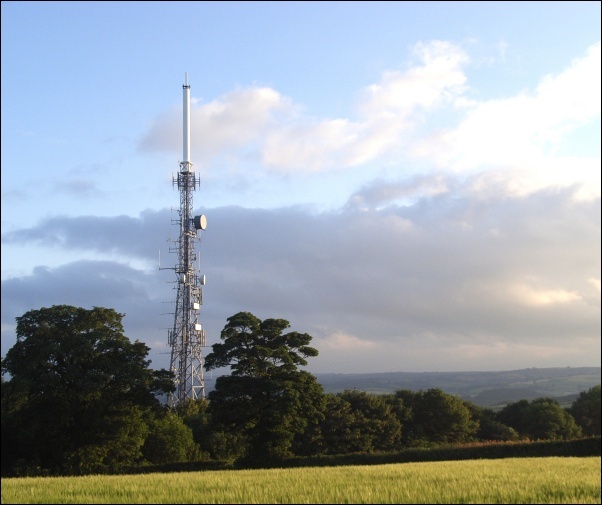 700MHz clearance is due at Chesterfield in Q1 2020, it is due to remain a K group (CHs 29 to 46). Chesterfield (sometimes called Unstone) television transmitter was built in 1971. It is vertically polarised and is a repeater off Emley Moor. The transmitter was originally an A group but with the advent of Digital TV Chesterfield is now a K group (or wideband). 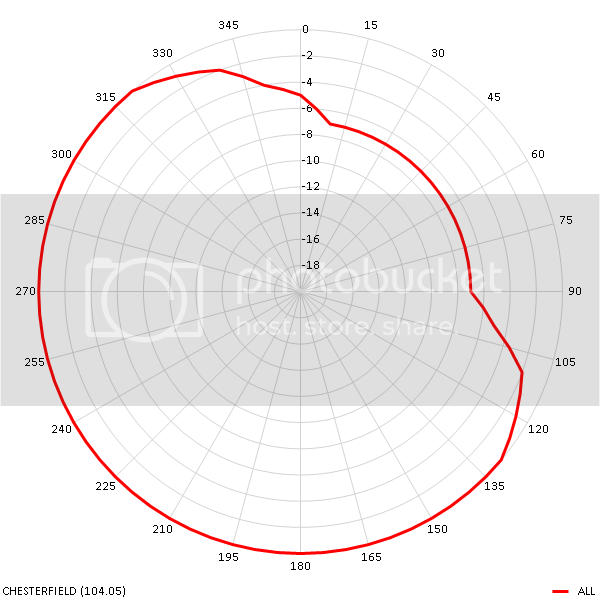 See Chesterfield`s graph. Ofcom quote Chesterfield`s maximum population coverage as being about 145 thousand, but that includes households which may well be on another transmitter with overlapping coverage. Chesterfield transmitter is attenuated in a North Western direction. DSO occurred in 2011 (between the 10 and the 24 of Aug). Chesterfield`s transmission power is 400W on all MUXES apart from MUX 3 (the BBC HD MUX), which is 800W. Pre the 2011 switchover it was only 40W. Although the transmitter is now a K group the three PSBs are still available off an original A group aerial (see Chesterfield`s graph).